Buckwheat is a good source of both fibre and protein and a great gluten free flour to make delicious nutty pancakes. 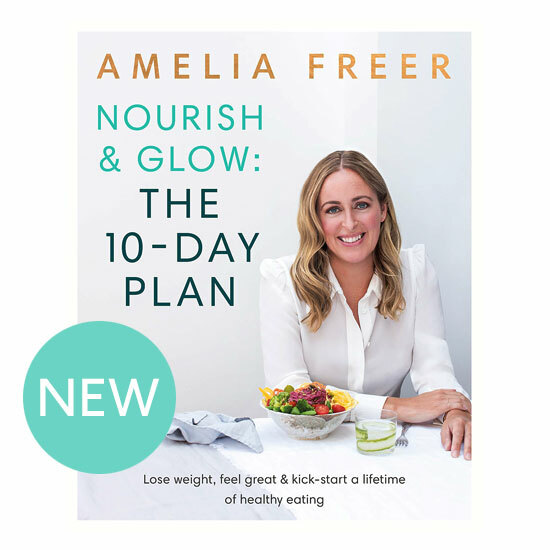 I have gently stewed Autumnal blackberries to top mine for a good weekend breakfast or brunch, but try them with savoury toppings too, like an avocado salsa salad or some of my delicious beetroot hummus and veg (Nourish & Glow: The 10 day plan). In a bowl, whisk the buckwheat flour and baking powder together to combine then add the milk and egg whisking to a smooth paste. Leave to stand and thicken while you make the compote. In a small pan, cook the berries on a low heat for 8-10 minutes, stirring occasionally. Heat a heavy non-stick frying pan to medium hot, add a little coconut oil. Using a serving spoon, dollop the pancake mix and spread out to make roughly 10cm pancakes. Cook in batches for 3-4 minutes until bubbles begin to appear over the surface then flip and cook for another minute or two. Keep warm until you have cooked them all then serve 4 or 5 stacked and topped with blackberries and a dollop of coconut yoghurt.